Voicemail is an optional service available on most university phone lines. Voicemail messages can be accessed from a telephone, email, and a web portal. Voicemail accounts come in two service levels — Standard and Group voicemail. Both service levels offer the ability to have voicemail messages sent to your university email account. Voicemail messages are moved to saved after ten days if not saved initially. After being in saved for ten days, messages are moved to deleted. After one day in deleted, messages are completely purged from the system. Provisioning charges of $15 to add voicemail to an existing phone line will apply. If you will be requesting voicemail be added to ten or more lines, standard labor charges of $63 per hour, with a one-hour minimum, will apply instead. 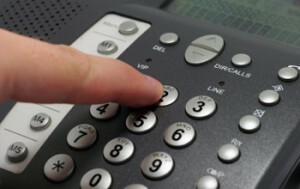 An active phone line is required for voicemail service. Go to doitservices.missouri.edu to request Voicemail. Login to the self-service portal with your University user id and password, select Service Catalog, and search for Voicemail. Go to uc.missouri.edu to access the voicemail portal, where you can manage voicemail messages and greetings as well as change your voicemail PIN. In addition, you can access online quick reference guides, including Managing Voicemail, from the Unified Communications Training Materials link on the Unified Communications Portal.